Ed Fuller is a hospitality industry leader, educator, and best-selling author of the international Top 20 bestselling business book, You Can’t Lead with Your Feet on the Desk, published by Wiley. He is President of the Irvine, California-based Laguna Strategic Advisors, a global consortium that provides business consulting services to corporations and governments. Fuller is also Director of the Federal Bureau of Investigators National Academy Associates Foundation Board (FBINAA). His 40 year career in the industry was capped by his role as President & Managing Director of Marriott International for 22 years. As worldwide chief, he directed and administered corporate expansion by 551 hotels in 73 countries and eight billion dollars in sales. During that time he oversaw the creation of Marriott International’s Global Security Strategy. Ed Fuller served as a Captain in the US Army in Germany and Vietnam and was decorated with a Bronze Star and Army Commendation medals. Gary Grossman is a multiple Emmy Award winning television producer and author of the international political thrillers Executive Actions, Executive Treason, Executive Command, Executive Force, and Old Earth. He has also written two highly regarded non-fiction books on TV history. 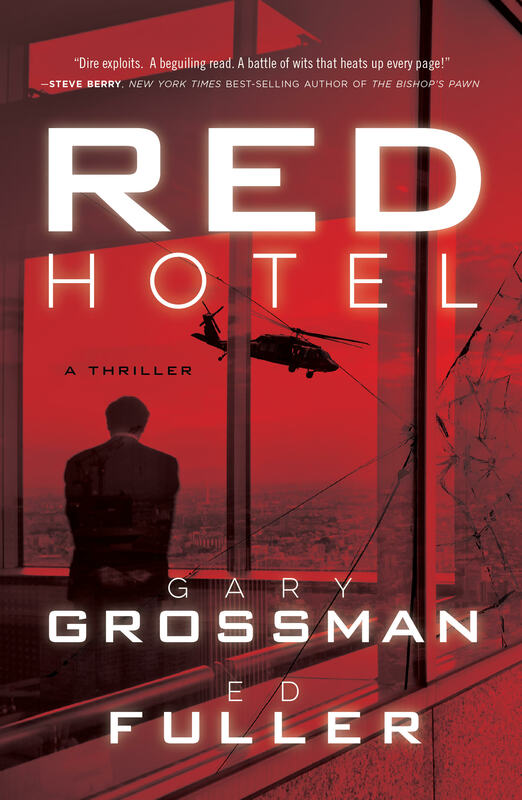 Grossman has been published by Dell/Delacorte, Byron Preiss Publishing, Diversion Books, Harlequin, Arlington House, and CBS/Popular Library. He has worked for NBC News, served as a columnist for the Boston Herald American, written for the Boston Globe and the New York Times. Grossman is Contributing Editor to Media Ethics Magazine and has produced more than 10,000 television programs for 40 networks. He’s a member of ITW, the International Thriller Writers Association and the Military Writers Society of America.